We welcome proposals from artists and art writers based in South West England for an artwork or project to be presented in/around the Bearpit site on a day or weekend in late summer 2015. We’d like the proposed temporary artwork to respond in some way to the unique context of the Bearpit in Bristol, whether that is geographic, social, political or aesthetic. The artwork could take the form of a written text, performance, intervention, object, sound installation, printed work or participatory project – the brief is limited only by the budget, the space and your imagination. The Micro-Commission is a unique opportunity to test an idea for a temporary public artwork, develop work for public engagement and push the boundaries of your practice. We encourage experimentation and fresh thinking about the ways in which artwork is presented and experienced outside of a gallery or indoor context. The selected artists will be awarded a budget of £250, alongside curatorial, production and marketing support from Hand in Glove. Read about Art in Bearpit to find out more about the project as a whole. If you’re not familiar with the Bearpit site, we highly recommend a visit before applying. Read more about the project producers, Hand in Glove. 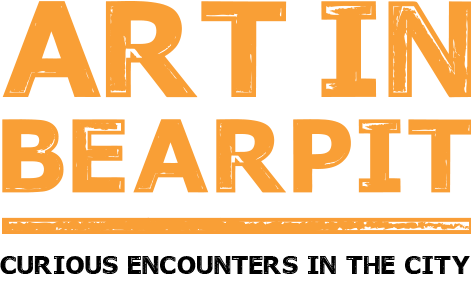 Download the application form, and email to email@artinbearpit.com by midnight, Sun 22 Feb 2015. Please write Bearpit Micro-Commission as the subject of the email.